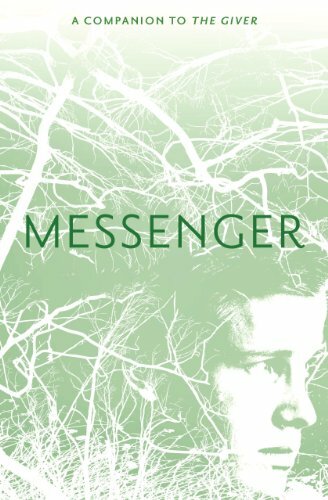 I recently finished reading Lois Lowry’s book, Messenger. It’s the third book in a series that I’ve been reading through as a sort of bedtime story with Olivia and Cor — and unfortunately, I have to say that I consider it the weakest of the three books I’ve read so far. It’s a story about a world of growing uneasiness. The citizens of the Village are increasingly dissatisfied with their own circumstances, and they stray from the altruistic principles upon which their community was founded. Political pressures and the forces of nature move in a coordinated way to close the Village off from the outside world, until three supernaturally-gifted members of the community work together to make things right. I enjoy Lowry’s writing style and the strange, dystopian world she’s created for these books. The characters are intriguing and the story is full of symbolism that seems to relate directly to issues of consumerism, international migration dynamics, and individual identity — all of which are certainly timely issues. But the symbolism feels simultaneously heavy-handed and incomplete in this book. It hints at deeper discourse, but I’m not completely sure what the author is actually trying to say. There’s a character who almost serves as a Christ figure in the story — but his sacrifice doesn’t really make logical sense (at least not to me), and it comes on quite abruptly, with almost nothing in the way of a resolution. Olivia, Cor, and I were all pretty disappointed by the way things turned out. But it kept us interested for awhile, in any event. This entry was posted in Children, Reading, Recommendations, Recommended Reading. Bookmark the permalink.